Cri-du-Chat is French for “Cat’s Cry”. It is the name given to the syndrome that Jie Jie has. The syndrome was discovered 50 years ago by the French geneticist, Jerome Lejeune. This syndrome is also known as 5p- Syndrome or Lejeune Syndrome. So much has changed in 50 years. One of the major breakthroughs has been not institutionalizing the children. For the past twenty years, or so, children with CdCS have been able to remain at home with their families – with the discovery that they actually develop so much more through the interaction and intentional therapy play starting at a young age. The big breakthrough for me, as an expat, was the internet and communicating with other families that have a child with CdCS. I have been so grateful that I’ve been able to receive the services that I’ve needed to help our daughter develop and grow here in Taipei, but the lack of communicating with other parents has been difficult. Now, I’m able to check on the Facebook page or the website to get the latest information or to get a question answered. I don’t feel as if I’m wading through an unknown land without a map or compass. I know have fellow travelers who have gone ahead and left markers to help me navigate this new territory of parenting. 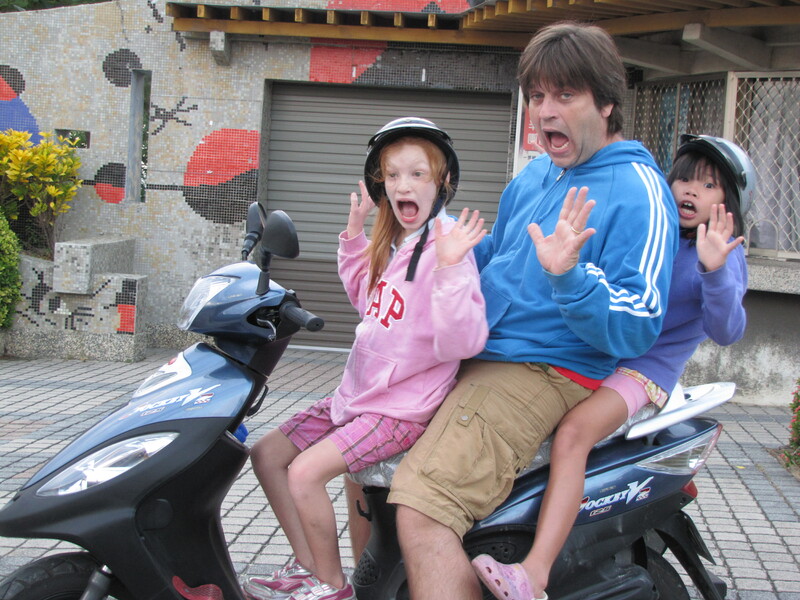 If you are living in Taipei or thinking about moving here with a special needs child, I wrote an article that just came out in Centered on Taipei‘s May issue titled “Living in Taipei with a Special Needs Child”. Living overseas with a special needs child is not always easy, but neither is living overseas with children. Period. Your Turn: Whether your child has special needs or not, what has been the most difficult thing about living overseas for you? Please share in the comments below. This entry was posted in Parenting, Special Needs and tagged cri-du-chat, special needs by MaDonna. Bookmark the permalink.